Springtime Warmer weather, snowmelt and green grass mean the deer are out in force, catching up on some nutrition after the cold and snowy months of February and March. Spring has arrived. Photo by Maggie Craig. How Is Libby, Troy, Yaak’s Real Estate Market in 2019? April 20: Libby Christian Church Easter Eggstravaganza Egg Hunt: Saturday,from 11AM to noon at the church, located at 100 Kootenai River Rd. in Libby. This is family fun for all ages. There will be candy, 10,000 eggs, free hotdog lunch, and more. Grand prizes will be cool bikes from Bad Medicine Bike Shop. The church will have their Easter Services on Sunday. For more information call 406-293-3747. April 20: YCS Easter Egg Hunt: Youth Court Services Easter Egg Hunt at J. Neils Park at 1:00 p.m.
April 20: Easter Egg Hunt in Troy: At Roosevelt Park at 1:00 p.m.
April 24: The Brewery Comedy Tour: At Cabinet Mountain Brewing Company from 6:00 to 8:00 p.m. More info: Comedy Tour on Facebook. May 4: Wings Benefit: At the Yaak River Tavern, 29238 Yaak River Rd. Silent auction, bucket raffle, live music, face painting and chair massage for donation. Hot dogs and popcorn available for sale. Mexican themed dinner from 5:00 to 6:00 p.m. for $10/person. Live auction starting at 6:30 p.m. All proceeds will benefit Lincoln County Wings helping friends and families undergoing cancer treatment. May 11: Northwest CHC Fundraiser: Northwest Community Health Center spring fundraiser at the Memorial Center from 6:00 to 9:30 p.m. More info: NWCHC on Facebook. May 11-12: STOKR: Kootenai Valley Partners Habitat for Humanity Scenic Tour of the Kootenai River bike ride. More info: STOKR. 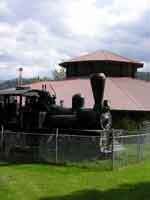 May 13: Heritage Museum Opens for the Season: 10:00 a.m. to 5:00 p.m. More info: www.libbyheritagemuseum.org. May 18: Eagle Valley Amish Auction in Libby: More info: Eagle Valley Amish Auction. June 1: Heritage Museum Opening Day Celebration: 10:00 a.m. to 4:00 p.m. More info: www.libbyheritagemuseum.org. July 13: Big Sky Bash: CARD Clinic fundraiser at 5:00 p.m. at J. Neils Park. Great White headlines with Shauney Fisher, Dead Fervor, and Devon Wade. More info: Big Sky Bash on Facebook. July 26-27: Kootenai River Stampede: PRCA rodeo at J. Neils Park beginning at 7:00 p.m. More info: Kootenai River Stampede on Facebook. Tickets will be available for purchase online at www.rodeoticket.com. Seniors/Veterans 60 and up, $8 presale. Adults age 16-59, $12 presale. Youth age 7-15, $8 presale. Kids 6 and under free. 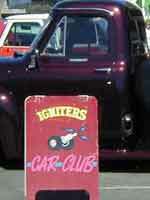 Click here for Libby Montana Events Calendar. We will list Lincoln County events for FREE on our calendar. E-mail us to let us know about your upcoming event! Interested in advertising on LibbyMT.com? LIBBY, MONTANA - The U.S. Environmental Protection Agency (EPA) today (April 10, 2019) announced the deletion of a portion of the Libby Asbestos Superfund site in Libby, Montana from the National Priorities List (NPL). EPA and the Montana Department of Environmental Quality have determined that all required cleanup activities are complete in the Operable Unit 2 (OU2) area for deletion. �gThe deletion of these properties from the Superfund list reflects the progress EPA and our partners continue to make in cleaning up and restoring properties in Libby,�h said EPA Acting Regional Administrator Deb Thomas. The Libby Asbestos Superfund site was placed on the NPL in 2002 due to high levels of Libby Amphibole asbestos in and around the communities of Libby and Troy. The site is divided into eight Operable Units. Operable Unit 2 of the site includes areas impacted by asbestos contamination released from the former Screening Plant. These areas include the former plant, the Flyway property, the Highway 37 right�]of�]way next to the former Screening Plant and Rainy Creek Road and privately-owned properties, collectively totaling 45 acres. Components of the long-term remedy included the removal and containment of contaminants and institutional controls to prevent exposure. EPA completed these cleanup actions in 2012. 2018 was a very busy year. We were able to help many people move to their new home, move out of their old home, sell their land, buy new land, or even move to a new town. But, there have been others who are still looking to sell their home or land or looking to buy that ‘just right home’ or ‘perfect piece of land’. We trust 2019 will be their year. Our Inventory of homes is in Short supply and we are looking for more options to offer buyers. If you’ve ‘toyed’ with the idea of selling –we would enjoy visiting with you about how we can help. What were the price ranges of SOLDS so far this spring? 1. Selling costs: Good news! These deductions are still allowed under the new tax law as long as they are directly tied to the sale of the home and a married couple—or a single taxpayer—lived in the home for at least two out of the five years preceding the sale. Another caveat: The home must be a principal residence and not an investment property. "You can deduct any costs associated with selling the home—including legal fees, escrow fees, advertising costs, and real estate agent commissions," says Joshua Zimmelman, president of Westwood Tax and Consulting in Rockville Center, NY. This could also include home staging fees, according to Thomas J. Williams, a tax accountant who operates Your Small Biz Accountant in Kissimmee, FL. Just remember that you can’t deduct these costs in the same way as, say, mortgage interest. Instead, you subtract them from the sales price of your home, which in turn positively affects your capital gains tax. 2. Home improvements and repairs: Score again. The new tax law left this deduction as well. If you renovated a few rooms to make your home more marketable (and so you can fetch a higher sale price), now you can deduct those upgrade costs as well. This includes painting the house or repairing the roof or water heater. But there’s a catch, and it all boils down to timing. "If you needed to make home improvements in order to sell your home, you can deduct those expenses as selling costs as long as they were made within 90 days of the closing," says Zimmelman. 3. Property taxes: This deduction is still allowed, but your total deductions are capped at $10,000, Zimmelman says. If you were dutifully paying your property taxes up to the point when you sold your home, you can deduct the amount you paid in property taxes this year up to $10,000. 4. Mortgage interest: As with property taxes, you can deduct the interest on your mortgage for the portion of the year you owned your home. However, the rules have changed slightly from last year. Just remember that under the new tax code, new homeowners (and home sellers) can deduct the interest on up to only $750,000 of mortgage debt, though homeowners who got their mortgage before Dec. 15, 2017, can continue deducting up to the original amount up to $1 million, according to Zimmelman. 5. But what's up with capital gains tax for sellers? Lawmakers tried to change the capital gains rule, but it managed to survive—so it’s still one home sellers can use. It isn't technically a deduction (it's an exclusion), but you’re still going to like it. However, look for the rules of this exemption to possibly change in a future tax bill. Ralph DiBugnara, president of Home Qualified and vice president at Residential Home Funding, says lawmakers might push to change this so that homeowners would have to live in the property for five of the past eight years, instead of two out of five. Libby Christian Church will hold their Easter Eggstravaganza Egg Hunt on Saturday, April 20 from 11AM to noon. This is family fun for all ages. There will be candy, 10,000 eggs, free hotdog lunch, and more. Grand prizes will be cool bikes from Bad Medicine Bike Shop. The church will have their Easter Services on Sunday. For more information call 406-293-3747. Libby Christian Church will be holding Easter Services on Sunday, April 21st at 8:30AM and 10:45:AM. 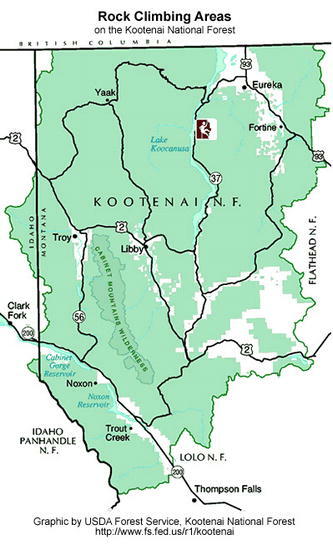 The church is located at 100 Kootenai River Rd. in Libby. For more information call 406-293-3747. MONTANA – Governor Steve Bullock today (Tuesday, March 19, 2019) announced that he will establish a Grizzly Bear Advisory Council to help initiate a statewide discussion on grizzly bear management, conservation and recovery. The Council will be selected through an application process that ends April 12th. "The recovery of grizzly bears in the Northern Continental Divide and Greater Yellowstone ecosystems is a great conservation success. Still, official federal delisting has yet to come to fruition," Bullock wrote in a memo to Montana Fish, Wildlife & Parks Director Martha Williams. "Legal uncertainty has created a void requiring our leadership," Governor Bullock said. "As bears continue to expand in numbers and habitat, we must identify durable and inclusive strategies to address current issues and prepare for the future. This advisory council represents a key step toward Montana embracing the tremendous responsibility and opportunity of long-term Grizzly Bear recovery and management." "We’re excited to work with this advisory council, and we see this as a great opportunity to find a way forward that reflects the values and needs of Montana as it relates to grizzly bear management," FWP Director Williams said. "A council that is inclusive in its composition will allow for the balanced discussion we need to have." -	Improving intergovernmental, interagency, and tribal coordination. Shopko chain will close all its remaining retail stores across the country. The company filed for Chapter 11 bankruptcy on January 16, 2019 closing more than 100 of its stores. The Libby store was spared closing at that time as the company looked for a buyer during its Chapter 11 restructuring. The company was experiencing excessive debt and was forced to seek protection from creditors. It attempted to continue operating through Chapter 11 reorganization. The company was not able to find a suitable buyer and announced the closing of all its 250 locations on March 18th. This includes all its Montana locations, including the Libby store. All stores will be closed by summer 2019, most by June. The company reportedly has some 18,000 employees. It is headquartered near Green Bay, Wisconsin. Shopko bought out the Pamida brand stores in 1999, which served smaller communities of 3000-8000 people, such as Libby. Pamida and Shopko merged into one company in 2012. Additional Montana stores facing closure by June include those in Evergreen, Missoula, Billings, Helena, Sidney, Dillon, Shelby, Glasgow, Lewistown, Livingston, Kalispell, and Whitefish. Gordon Brothers will oversee the company’s liquidation, which should take 10 to 12 weeks. While the closing of these stores appears to be a huge hit to local economies and employees, from a business perspective it might also be an opportunity for local business entrepreneurs, if they have the capital and inclination to take advantage of the closing of the big box store in their community. The Yaak Wings Benefit will be held on Saturday, May 4. 2019 at the Yaak River Tavern, 29238 Yaak River Rd. in Yaak, Montana. It will be from 2-5PM. There will be a silent auction, bucket raffle, live music, face painting and chair massage for donation. There will be hotdogs and popcorn for sale. Mexican themed dinner will be available from 5-6PM for $10/person. The live auction will begin at 6:30PM. All proceeds go to benefit Lincoln County Wings, an organization helping families and friends undergoing cancer treatment. Libby Dam Visitor Center will have their grand opening season kickoff on Saturday, May 25 with their 8th annual Birds of Prey appreciation event from 9am-Noon. After the bird program there will be lots of fun family-friendly activities, including an opportunity to become "Bear Aware" with Kim Annis of Montana Fish, Wildlife & Parks. The Corps of Engineers at Libby Dam will be hosting a FREE 1.5 day workshop for teachers and informal educators interested in learning more about electricity and how dams work on May 2 and 3, 2019. This workshop is sponsored by The Foundation for Water and Energy Education (https://www.fwee.org). A hard-hat tour of the dam is included, as well as an optional hike at Kootenai Falls; did you know that there was once a plan to build a dam and hydropower plant near the site of the falls? Come learn more about this and other little known stories, including how an architect helped design the art deco look of Libby Dam. Call or email Park Ranger Susan James for more info and to sign up. 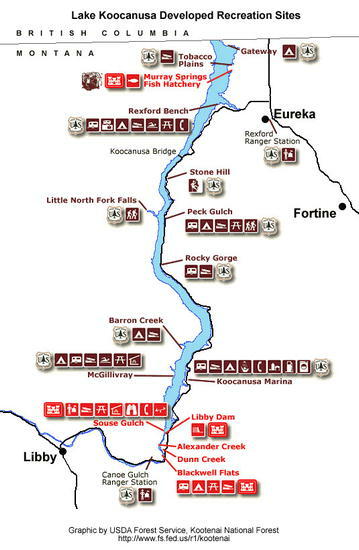 They will have free camping downstream of the dam if participants need a place to stay. The heart of Montana's hunter and bowhunter education programs is the corps of dedicated volunteer instructors. They stand as examples of how each hunter should demonstrate ethics, behavior and responsibility to themselves, landowners, other hunters and the resource. "The men and women who volunteer to mentor new hunters are skilled, passionate and dedicated to Montana’s hunting heritage and to teaching firearms safety," said Dillon Tabish, the information and education program manager for FWP Region 1. "These instructors serve their communities in a very important way. They deserve a sincere ‘Thank you’ from all of us." 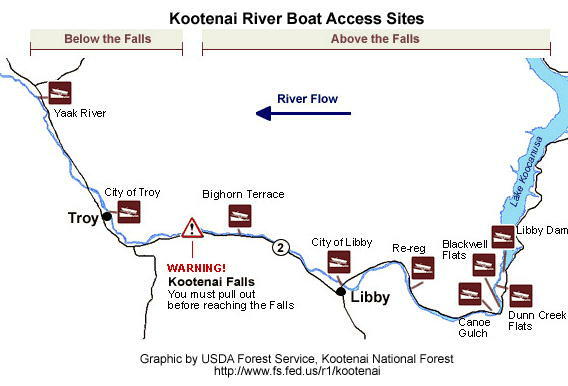 The 2019 Fishing Regulations are available online here: http://fwp.mt.gov/fish/. Hard copies of the fishing regulations are available now at FWP offices and local license providers. The 2019 Spring and Fall Turkey Regulations are available online here: http://fwp.mt.gov/hunting/regulations/. Hard copies of the hunting regulations will be on the shelf at FWP offices and local license providers in March. Montana Fish, Wildlife & Parks regional staff have received reports of a rare sight in northwest Montana. "There are three weeks left of big-game hunting season in Montana. Hunters are reminded to be sure of their target and beyond," said Neil Anderson, FWP Region 1 wildlife manager. Reader’s Digest posted a story under the Travel section of their website on "The Most Charming Small Town in Every State." 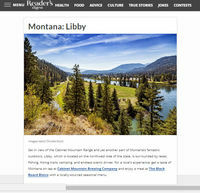 Libby was selected as the Most Charming Small Town for Montana. "You’ll find the heart of America in these small-town gems lost in time. Add them to your must-visit list now," said author Lyn Mettler. "Set in view of the Cabinet Mountain Range and yet another part of Montana’s fantastic outdoors, Libby, which is located on the northwest side of the state, Libby is surrounded by lakes, fishing, hiking trails, camping, and endless scenic drives. For a local’s experience, get a taste of Montana on tap at Cabinet Mountain Brewing Company and enjoy a meal at The Black Board Bistro with a locally-sourced seasonal menu." 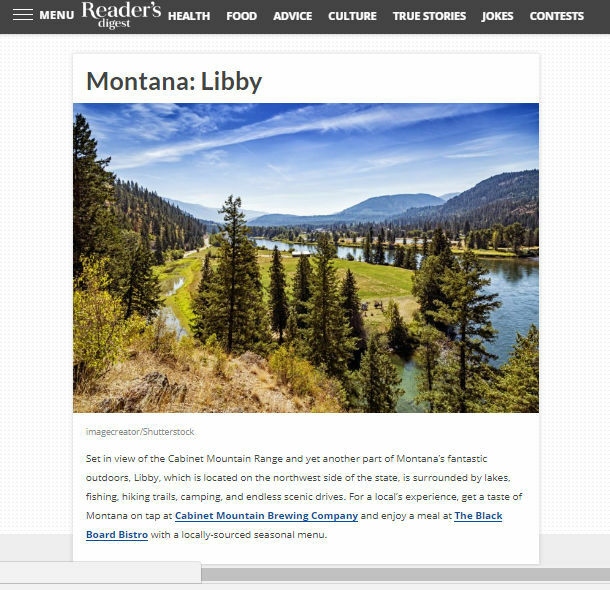 Libby lies in the northwest corner of Montana and is nestled in a valley carved by the Kootenai River on the flank of the majestic Cabinet Mountain Range and Wilderness Area. Today about 2,800 people live within Libby proper. 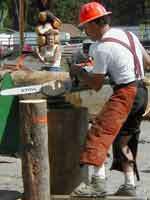 The main industries are lumber and wood products, mining, tourism and recreation. The movies "The River Wild" and "Always" were filmed here. Contact the Libby Chamber of Commerce for brochures, info on lodging and events, general area information, and contact information for local businesses and services. 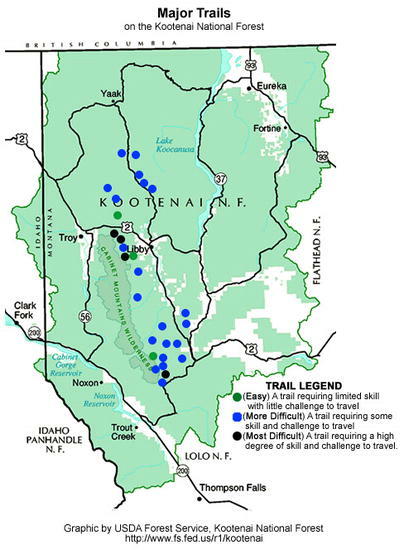 When the weather warms and the mountain snows melt away, the Kootenai National Forest comes alive with over 2.2 million acres of public land as a playground. Mountain trails and lakes open up, beautiful wildflowers come in bloom, and wildlife have their young. Libby is the basecamp for the Cabinet Mountains Wilderness Area, 90-mile long Lake Koocanusa, the Northwest Peaks Scenic Area, and the Ten Lakes Scenic Area. There is good access to most of the Forest and plenty of room to get away from it all! Winter in Montana means snow, and lots of it! For those who love to play in the deep powder, the Libby area offers tremendous winter fun. Turner Mountain Ski Area, located just 22 miles from Libby, offers challenging downhill skiing with a beautiful view. Their slogan is "steep, deep and cheap", and Turner definitely lives up to that. It's still fairly undiscovered, so you can escape the crowds and get the cheapest lift tickets around. 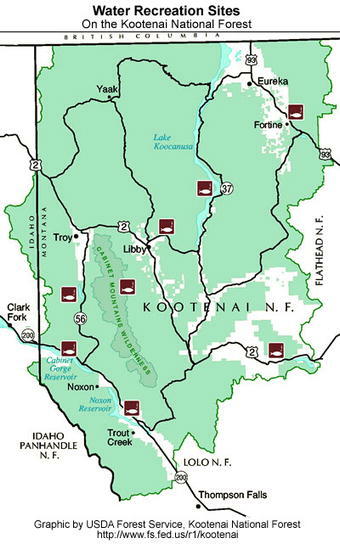 For those who love snowmobiling, there are hundreds of miles of backcountry roads to sled on in the Kootenai National Forest. 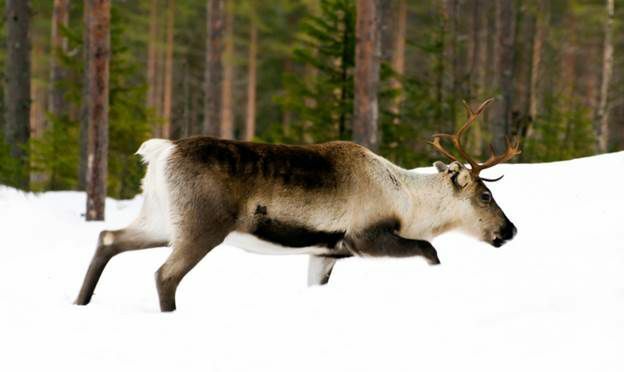 Cross-country skiers and ice fishermen also can find solitude on a lake and miles of quiet forest trails to enjoy the outdoors. Those who are a bit on the wild and crazy side will love the antics of the Libby Polar Bear Club. 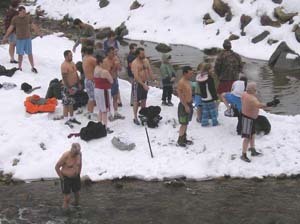 Members take winter-time "swims" in frigid Libby Creek every Sunday from October to April. Plungers have ranged in age from 3 to 61. As long as the ice can be broken on the creek, if it has formed, the group will take their plunge, no matter the temperature. These people must be craaaazzzzzy! LibbyMT.com is designed and maintained by Wind River Web Services LLC. Photos by LibbyMT.com unless otherwise credited. Staff Photographer/Reporter is Maggie Craig. Webmaster for this site is Dawn Ballou. 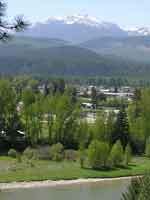 LibbyMT.com is a web site designed to provide visitor information about the Libby, Montana and the Lincoln County, northwest Montana area. Our staff is small, but we try to cover as many local events as we can. We welcome photo and story contributions. We work with local community entities to provide the information on this web site. We make every effort to ensure the accuracy of the content of this site, however errors may occur. Please contact us for more information or if you find any broken links on our site. We are members of the Libby Chamber of Commerce. We welcome your comments and suggestions about the content on this web site. Content and photos are copyright 2019, all rights reserved, and may not be reprinted, reproduced, or reused in printed form or electronic media (ie. other web sites or photos on CDs) without first obtaining permission. If you wish to use photos or reprint articles from our site, please contact us by e-mail or phone. Higher resolution versions of photos are available. Usually there is no charge for non-commercial and not-for-profit organization uses. 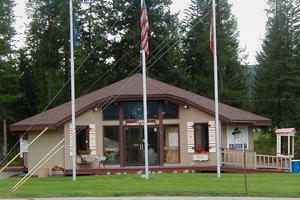 Thank you for visiting Libby Montana on the Web!